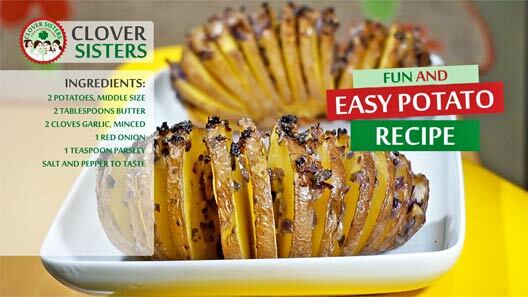 This fun and easy potatoes come straight from the hot oven, they are fun to make and tasty too. 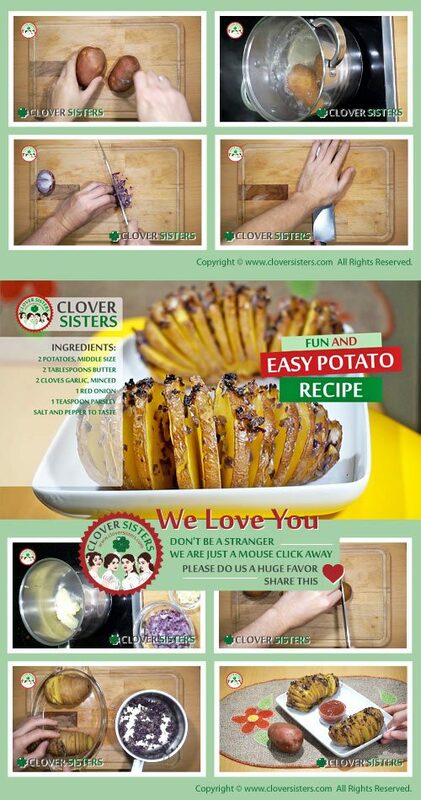 Kids will love this aromatic baked potato slices. Wash the potatoes, prick each with the fork or knife and place them in a pot with water. Cook potatoes until they are half cooked, just to make slicing easier. When potatoes are half cooked, place them into baking tray and slice thinly. Mix butter with the garlic, salt and onion. Spread mixture between the slices and drizzle with parsley. Bake in oven preheated to 435F (220C).